art•uro is creating paintings and sketches! My name is Arturo Gutierrez, and I joined Patreon because I want art to have a greater presence in my life! I am a concept artist and illustrator, currently employed, with the goal of having economic stability through (eventually) 100% freelance work. To get there, I need better skills and portfolio. Join me in this new and exciting adventure of hard work! I'll follow monthly study themes, share my learning process (sketchbook sneak-peaks and live drawing sessions, among other many things), and the process of personal pieces. I hope doing this will help us all find a community of people that keeps us engaged and interested in sharing and working on becoming better. Follow my portfolio on ArtStation! You can find prints on INPRNT! All prints are gallery-quality giclée art print on 100% cotton rag archival paper, printed with archival inks. Each art print is listed by sheet size and features a minimum one-inch border. 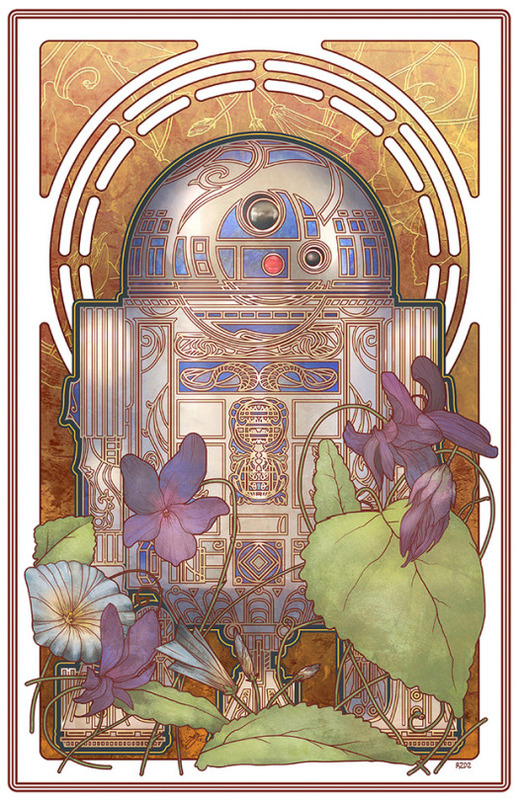 For now, there is this image of R2-D2, Gods of Old, Valley of Death and Silent River. I'll keep uploading more! I'll give you exclusive access to my sketchbook! This is probably the best way to know me, I carry my sketchbook everywhere, and I use it constantly. I tend to use inks and pencil, mostly black and white, but I can also get pretty colorful. Let's sketch together! Once a week, I'll do an hour long live drawing session! This will also work as a Q/A or Ask Me Anything session. I don't mind talking while I draw. You will also be attacked by wild polls that may appear in the tall grass. Get closer to my process! I'll give you early and/or exclusive access to my Layered PSD files, brush-sets and other bonus material. These files usually include guides, sketches, lineart and other cool things! I'll do a critique and paint-over on one image that you want to send my way! Choose wisely. It's easier if we talk: we'll also set a 1 on 1 video call to give feedback! This is done once a month per person. This is a limited Club: a maximum of 10 patrons are allowed inside. Want an image of your choice? I'll do a single commission per month. This will be a 2D digital painting (sketch): You choose the subject matter (with certain limitations, but try me). I recommend trying other Clubs or contacting me before entering this highly prestigious venue (only 1 member allowed per month!). Includes rewards in Stylus Club and below! When I reach $20 per month, I'll be able to update my mobile plan, so I can use Patreon Lens from anywhere! Not only places with WiFi... which is my actual condition.